Photo of the day: VOTE VOTE VOTE! ANYBODY BUT QUINN! 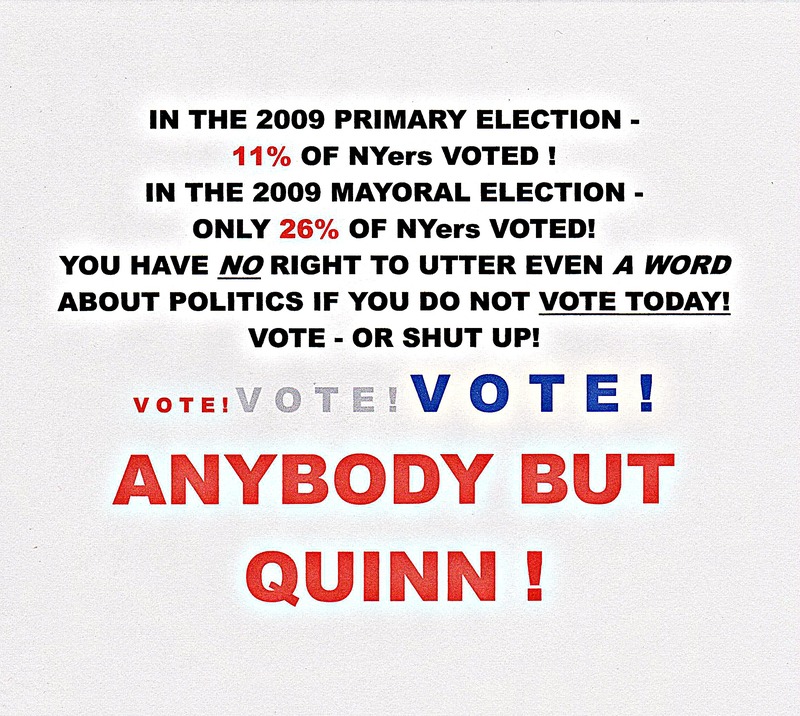 IN THE 2009 PRIMARY ELECTION – 11% OF NYers VOTED ! IN THE 2009 MAYORAL ELECTION ONLY 26% OF NYers VOTED! YO HAVE NO RIGHT TO UTTER EVEN A WORD ABOUT POLITICS IF YOU DO NOT VOTE TODAY! VOTE – OR PUT UP! V O T E ! V O T E ! V O T E !